“M” is for Medical University of South Carolina. At the request of the Medical Society of South Carolina, the General Assembly established the Medical College of South Carolina. It opened in 1824 as a private institution. In the last two decades of the 19th century, programs in pharmacy and nursing began. The faculty voted to admit women medical students in 1895. In 1913 Dean Robert Wilson campaigned for state ownership of the Medical College, whereby the state would assume some financial responsibility for the school. State ownership was achieved in 1914. “L” is for Lott, Robert Bretley [b. 1958]. Author, educator. A native of California, Lott received his MFA from the University of Massachusetts-Amherst. Though reared in California, he considers himself a Southerner: “My family is from East Texas and Mississippi—I grew up drinking sweet tea….” In 1986 he became writer-in-residence at the College of Charleston. He began publishing his short stories in 1983—and his fiction and essays have appeared in dozens of literary journals. “H” is for Historic Charleston Foundation [HCF]. 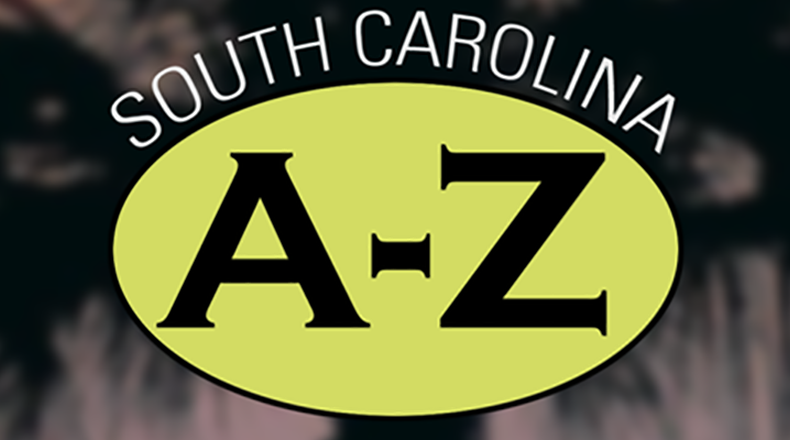 The Historic Charleston Foundation sprang from the activities of the Carolina Art Association. In 1944, the association published This is Charleston, a survey of historic buildings. In 1947, HCF was incorporated as a separate organization to preserve buildings still occupied by their owners, instead of museums. To raise money, HCF sponsored its first Festival of Homes and saved important structures such as the Nathaniel Russell House. “G” is for Greene, Nathanael [1742-1786]. Soldier. Early in the Revolution, Rhode Islander Nathaniel Greene became close to George Washington and served on his staff. After the battle of Camden, Washington personally selected him to command the southern army. Taking command in December 1780, he devised a strategy that led to the victory at Cowpens and caused Cornwallis to chase him to the Dan River. At Guilford Court House, Greene’s forces badly damaged the British who limped off to Virginia.